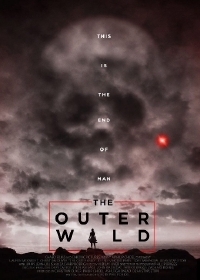 The Outer Wild is billed as a post-apocalyptic western but it's also got a healthy dose of the supernatural which gives it a pretty interesting vibe overall. The film directed by Philip Chidel hits DVD and digital September 28, 2018. In this post-apocalyptic frontier western, mankind has given way to a new breed of beast, mutated from man. A survivor named Laura may be the cure to these mutations but she flees to save herself. Aided by a hunter sent to catch her, she braves the dangerous unnatural wilderness in order to find a fabled refuge of freedom — and only there will she discover the fate of humanity at the end of the world. The film stars It stars Lauren McKnight (So Undercover), Christian Oliver (House of Good and Evil), Jeffrey Vincent Parise (CW’s “Supernatural”), Tory Taranova (Everybody Wants Some), Jimmy Jean-Louis (NBC’s “Heroes”), Zach Roerig (CW’s “The Vampire Diaries”).